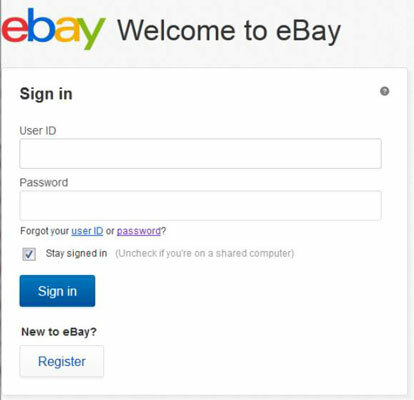 If someone gets hold of your personal information on eBay, the most important thing to do is report it immediately. If you see any items that aren’t yours on the Items I’m Bidding On or the Items I’m Selling area of your my eBay page, it’s time to make a report — and fast! Change your personal e-mail account password with your ISP. Go to your ISP’s home page and look for an area called Member Center or something similar. In the Member Center, access your personal account information — probably through a link called something like my Account. You should be able to change your password there. Change the e-mail account password on your home computer. Don’t forget to change the password on your computer’s e-mail software as well (Outlook, Firefox, and the like), so you can continue to download your e-mail from the server. 1Go to the eBay Sign In page. Don’t type your password. You just tried that and it doesn’t work. 2Click the Forgot your password link. Doing this takes you to a page where you’re prompted to type in your user ID. Those silly security questions that you answered when you registered for eBay become very important now. 3Answer at least one of the questions you see on the page, and then provide your registered phone number and ZIP code. Click Continue. 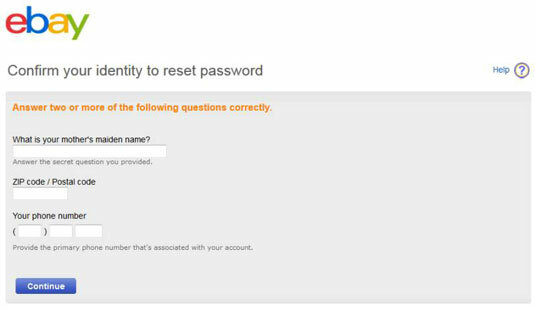 eBay will e-mail you instructions for resetting your password. 4When the e-mail arrives, follow the steps and change your password. If you don’t get eBay’s e-mail telling you how to change your password, it means some fraudster may have changed the contact information in your eBay account. See the sidebar Freaking out is not a good thing for instructions on what to do. 5If all goes well and you can change your password, change your password hint (that’s the secret question that lets the system know you’re you). If your other information has been compromised, it’s likely this question has too. It’s a good idea to reset this question.